Sequin heart with feather plume fascinator. This original elegant design is perfect for burlesque events and parties. Attached to clear / transparent alice band. Also available in black, silver with white plume or purple with lilac plume. 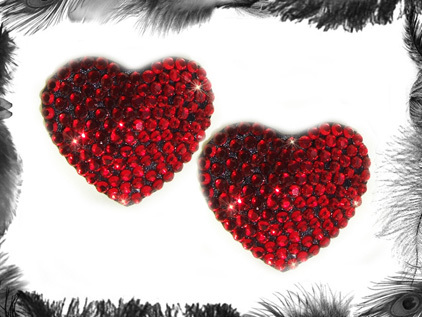 If you would like to mix and match colours - for example a red sequin heart and black feather plume just let us know!